The Joust is perfect for trimming pets, horses, or cattle. A 30W, 12V animal trimmer, with a cutting speed of 2,500RPM. Supplied with an A5 #10 & A5 #10W blade (both with a 1.5mm cut length). The wide variety of A5 blades available make it perfect for clipping & trimming. The Joust has a completely wireless battery pack, allowing you more manoeuvrability, and a safer clipping experience. Be completely cable free! 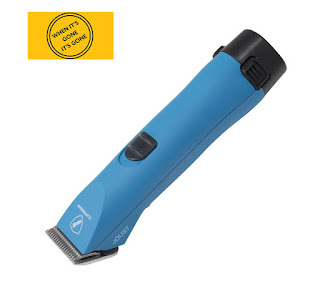 Low noise and vibration makes this trimmer perfect for young or nervous animals, who may be spooked by louder clippers. 2 rechargeable Li-Ion batteries allow up to 7 hours of total running time, at 3.5 hours per battery, with only 1.5 hours charge time (dependent on use). The Joust is the perfect trimmer when combined with the Dragon clipper, as they both use the same battery, allowing you to clip and trim for hours on end!